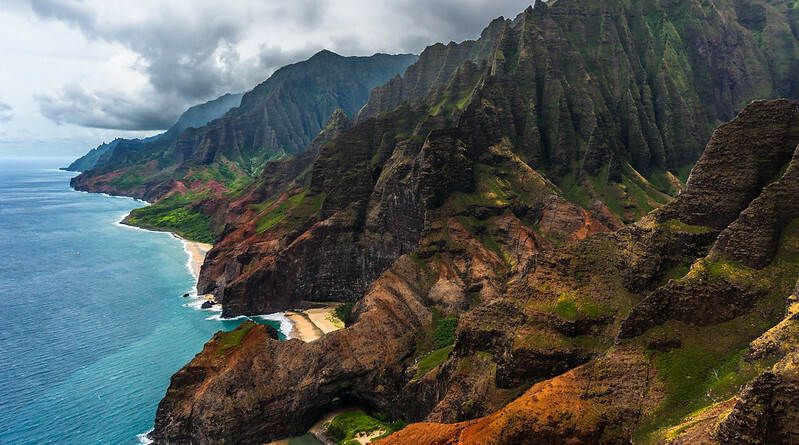 Kauai | Flights. Camera. Satisfaction. 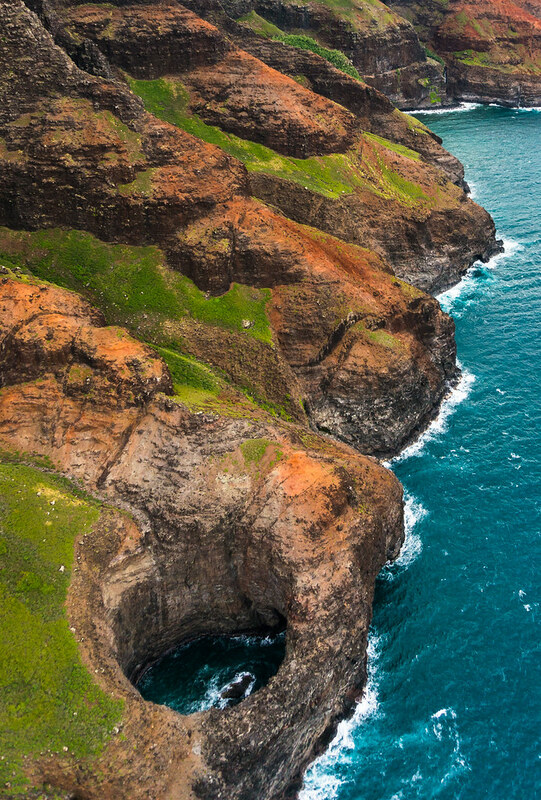 Which Lens For A Kauai Helicopter Tour? I debated which lens to take on our Kauai helicopter tour long and hard. You can’t change lenses during the flight, so it’s a make or break decision! After much deliberation I went with a mid-range lens which turned out to be just right. 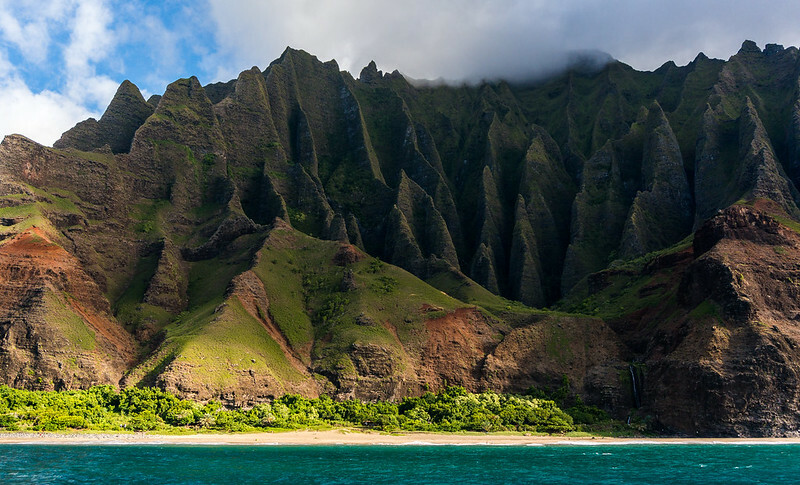 At 24mm this shot of the Na Pali coast was about as wide as I could get without the helicopter creeping in at the edges of the frame. We were too far away from anything for a super wide angle lens to be useful, and I think it would have been very difficult to get a sharp shot with a powerful zoom lens. Something in the 18-70mm range would have been just right. You can take private photography tours with some companies. I have no idea if you can switch lenses on those flights, but they change the route depending on what you want to take photos of which is pretty cool. Perhaps one day if I have more money than sense I’ll take one of those! 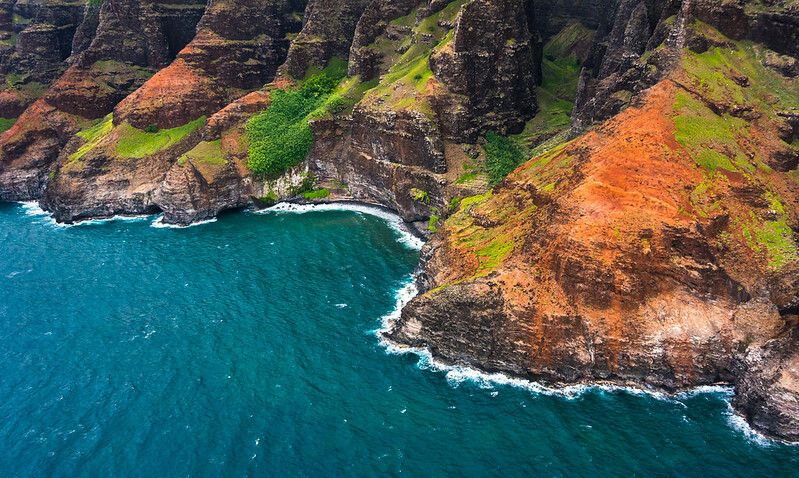 This entry was posted in Hawaii, USA and tagged Aerial Photography, Coast, hawaii, Helicopter Tour, Kauai, landscape photography, lens, Na Pali on November 26, 2014 by Ben.